I procrastinated doing my brakes for so long that it sounds like I was dragging a sled behind me, and not thru the snow. I'm not sure about the brand of the rotors, but the pads are Hawk HPS 5.0. I'm not sure how to tell if the old rotors were warped, I didn't see any cracks, but they were down to 3/4 which I think is when you're supposed to replace them so that was good timing, but the old pads were almost down to metal. They aren't broken in, but it's only been 1/2 a day so far. 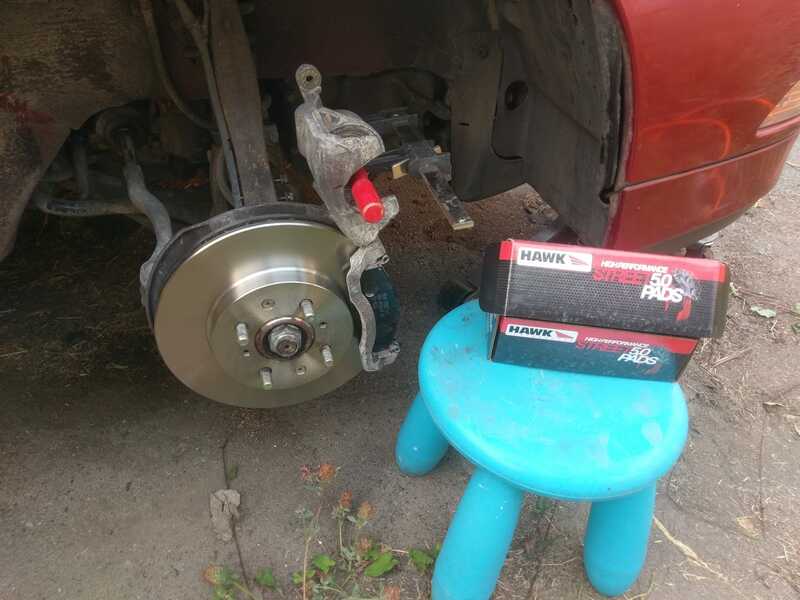 I made sure to clean the new rotors vigorously with brake cleaner and show towels before mounting them. I'm thinking that if the brakes are still feeling too soft a week from now that I might flush/bleed the brake lines with some new fluid.